Earl Thomas was sighted at SeaTac International Airport on Monday morning, two days after NFL teams had to cut their rosters to 53 men. 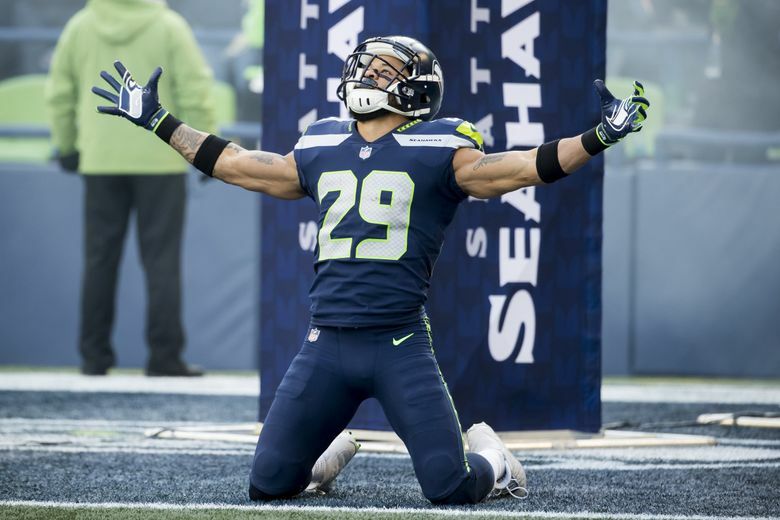 Seahawks holdout free safety Earl Thomas returned to Seattle Monday morning. But not, apparently, for any football-related purposes. When the Seahawks held their first practice Monday in preparation for Sunday’s regular season opener at Denver, Thomas was still not present, continuing a holdout that began last June when he skipped the team’s mandatory minicamp and then later announced on Twitter he would not take part in any activities with the team until his contract situation was resolved — he is entering the final season of his deal and would like a long-term extension. Hope among some Seahawks fans that there had maybe been a breakthrough, though, arrived early Monday morning when Thomas was spotted at SeaTac International Airport at around 8:45 a.m., and took a photo with an airport worker — he has been working out in his native Texas, and specifically Austin, where he went to college. Any optimism was quickly dashed when Ian Rapoport of the NFL Network reported that Thomas’ return to Seattle did not signify any advance in talks with the Seahawks. Instead, Rapoport reported, Thomas flew into Seattle to take his daughter to her first day of school. Still, the situation grew at least slightly more interesting later in the day when coach Pete Carroll was asked about Thomas following the team’s practice Monday afternoon. Maybe that’s just how Carroll wanted to say it and it means nothing. But previously, when Carroll has been asked about Thomas and if there is anything new or there has been any contract he has answered with a simple, and usually brusque, no. So does nothing to report means something is going on that Carroll, well, simply doesn’t want to report? That Thomas is back in town at least raises the possibility. Thomas, 29, remains on Seattle’s reserve/did not report list, and does not count against roster limits. He has accumulated fines of roughly $1.5 million so far. But the stakes for Thomas raise now as with the start of the regular season, Thomas will lose game checks of $500,000 per week. He would have until 24 hours before each game to report and be activated to play that week. Any contact between the two sides would be more than there has appeared to be for months as by all accounts the two have been at a stalemate. Somewhat intriguingly, on Friday evening, the day before the NFL required teams to cut their rosters to 53, reports emerged that the Seahawks had fielded inquiries from”multiple teams” about Thomas’ availability, leading to some conjecture that maybe a trade was in the offing. But none came with the Seahawks said to want at least a second round draft pick in exchange for Thomas.